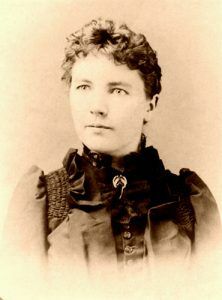 Laura Ingalls Wilder (1867-1957) – Laura Elizabeth Ingalls Wilder is a celebrated American Author whose childhood in the Old West led her to write a series of what are known as the “Little House” books, including “Little House on the Prairie” for which a popular television show in the 1970s and early 80’s about her writings would be named. Born in the “Big Woods” of Wisconsin just a few miles north of Pepin, on February 7, 1867, Laura was the second of five children born to Charles Philip and Caroline Lake (Quiner) Ingalls. Laura first started school at the age of four in Pepin, but father, Charles, dreamed of going West to pioneer unsettled lands. Over the next several years, Laura would attend school only sporadically, as the family moved to Kansas, Minnesota, and Iowa before finally settling in De Smet, South Dakota, where Laura finally attended school full-time. Their first adventure west took the family to land not open for homesteading yet near Independence, Kansas. This was still Indian Territory at the time, and the family would soon be forced to move back to Wisconsin. Charles Ingalls pioneering and restless spirit would move them again to a preemption claim in Walnut Grove, Minnesota, during which time they lived with relatives near South Troy while helping run a Burr Oak, Iowa hotel. Eventually, Charles would get the family to their claim in Walnut Grove as he found work as the town butcher and Justice of the Peace. 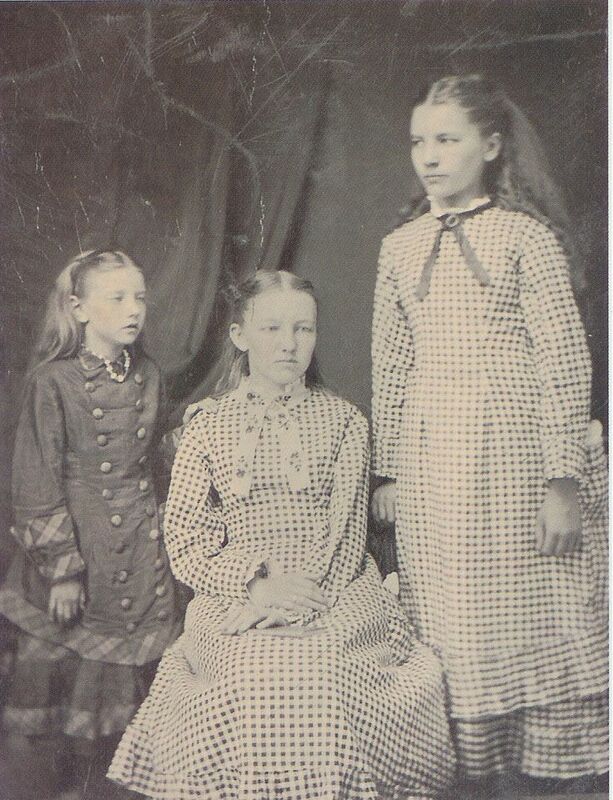 Carrie, Mary, and Laura Ingalls, circa 1879-81. 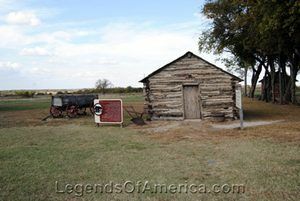 Photo from Laura Ingalls Wilder Historic Home and Museum. In 1879 Charles began work with the Railroad that took him to eastern Dakota Territory, where he found a homestead in De Smet, South Dakota that he would call home for the rest of his life. During these many moves, the family encountered difficult times, as grasshoppers destroyed their crops two seasons in a row, a winter of continuous blizzards threatened their supplies, and they had constant financial struggles. Laura’s brother, Charles Frederick, died when he was just nine months old and sister, Mary, lost her eyesight at the young age of 15 after an illness. After father, Charles, accepted the railroad job, the family fared better and Laura continued her education until the age of 15 and earned her “Third Grade” teaching certificate at age 17, helping her family financially. At the same time she was teaching in a one-room schoolhouse in De Smet, she also worked for a local dressmaker and attended high school. All that was cut short however after meeting homesteader Almanzo Wilder. 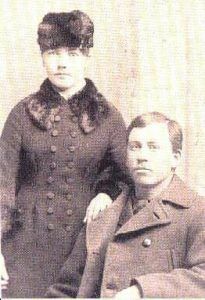 The two married August 25, 1885, Laura stopped teaching, helped Almanzo with the homestead, and had their only child, Rose, on December 5, 1886. In their early years, the couple faced a number of difficulties including Almanzo being partially paralyzed after a life-threatening bout of diphtheria, the loss of a still-born, unnamed son, losing their home and barn in a fire, and a severe drought that left them in major debt. In 1890, they left South Dakota, first moving to Minnesota, then to Florida, returning to South Dakota, before finally settling down in Mansfield, Missouri in 1894 at a place they called Rocky Ridge Farm. Again they struggled, and for a time had to move into a rental in Mansfield, but after Wilder’s parents gifted them the deed to the house they were renting, they finally began to prosper, selling the house in town, increasing their land from 40 to over 200 acres, and turning their small log cabin into a 10 room farmhouse and outbuildings, completed in 1910. Rocky Ridge Farm became a poultry and dairy farm, with an apple orchard as well. Almanzo was active in various clubs and was recognized as an authority in rural living and poultry farming, leading to invitations to speak before groups around the region. During this time, their daughter Rose Wilder Lane was in a budding writing career, which inspired Laura to do the same. She wound up accepting a columnist and editor position with the Missouri Ruralist around 1911 and continued working there until the 1920s. Her column As a Farm Woman Thinks gained her a loyal following as she wrote about home, family, world events, and about the world travels of her daughter Rose. Rose would become very successful with her own freelance writing career, and would eventually invest in the booming stock market. This would later help Rose support her aging parents, Laura and Almanzo. By the late 1920s they scaled back the farming operation as Almanzo, now 70, could no longer easily manage it. More hard times would come with the stock market crash of 1929. Although Laura and Almanzo still owned 200 acres, they had invested most of their savings with daughter Rose’s broker, which was wiped out in the market crash. It was after this, in 1930, that Laura approached her daughter with a manuscript written about her childhood and the pioneering adventures Laura had experienced. This first work would become Little House in the Big Woods and would gain success, prompting Laura to continue writing. Although there is some controversy over how much of a roll Laura’s daughter Rose played in the final versions of the Little House series of books, evidence shows a joint collaboration, which brought enough money to recoup their investment losses. Laura’s first royalty check in 1932 is said to have been the smallest, at $500, and by the mid-1930s the royalties became steady, substantial income for the Wilders. At the same time, daughter Rose also wrote of the Wilder family tales; but, in a more adult format. The resulting books were Let the Hurricane Roar in 1932 and Free Land in 1938. Let the Hurricane Roar became a radio dramatization starring Helen Hayes, and continues in print today as Young Pioneers. Rose Wilder Lane, who left Rocky Ridge Farm in the late 1930s, would later become an influential American Libertarian, choosing to give up her other writings in favor of promoting philosophies of personal freedom and liberty. Meanwhile, Laura and Almanzo sold off much of the surrounding property to their farmhouse, and lived independently without financial worries until Almanzo’s death, at age 93, in 1949. Laura, determined to stay on the farm, was looked after by neighbors and friends and was visited by Rose during the winters. In the fall of 1956, Laura, now 89, became severely ill from undiagnosed diabetes and a weakened heart, and on February 10, 1957, just three days after her 90th Birthday, Laura Ingalls Wilder died in her Mansfield, Missouri farmhouse. With her death, ownership of the Rocky Ridge Farmhouse reverted to a farmer who bought the surrounding land. Mansfield residents organized a non-profit corporation to buy back the house and its grounds to use as a museum, which still attracts thousands of visitors each year. Rose Lane inherited ownership of the Little House literary estate; but, in accordance with Laura’s will, only during her lifetime, with all rights reverting to the Mansfield library after Rose Lane’s death. However, during the period between her mother’s death and her own in 1968, Lane had managed to renew all copyrights from her mother’s works and her own, under Roger MacBride, an informally adopted grandson of Lane, as well as her business agent, attorney and heir. 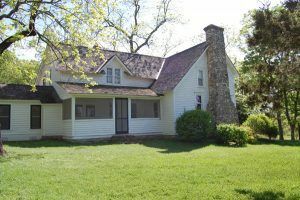 After MacBride’s death in 1995, the Mansfield Library would attempt to regain control of the copyrights to Laura’s Little House series, however, the case was settled with control remaining in the MacBride family. The popularity of the Little House series continues to this day and includes a multimillion-dollar franchise, which the popular long-running Television show was spawned from, as well as additional spin-off book series and mass merchandising. In addition to the fortunes Laura’s writing would bring, she would also be remembered with several elementary schools being named after her, becoming an inductee in the Hall of Famous Missourians in 1993, and even has a crater named after her on the planet Venus. Little House in the Big Woods (1932) – About early childhood in Wisconsin. Farmer Boy (1933) – Based on Almanzo’s childhood on a farm in New York. On the Banks of Plum Creek (1937) – Based on time in Walnut Grove, Minnesota. By the Shores of Silver Lake (1939) – Based on living in De Smet, South Dakota. Little Town on the Prairie (1941) – Based on later years in De Smet, South Dakota. On the Way Home (1962, published posthumously) – Diary of the Wilder’s move from De Smet, SD to Mansfield, MO, edited and added to by Rose Wilder Lane. The First Four Years (1971, published posthumously) – Found by Rose Wilder Lane and chronicles Laura’s and Almanzo’s troubles and trials their first years together. Compiled and Edited by Dave Alexander, updated February 2019.